Daybeds are one of our most popular categories of multi-functional beds. 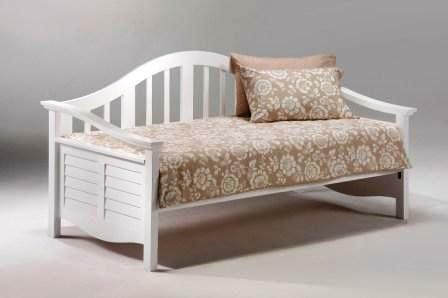 Whether you are decorating your little girls room or looking for a guest bed for your home office, a daybed might be what you are looking for. We have many styles, from the traditional iron style or the warm look of wood. Daybeds also offer the option of an extra sleeping space by adding a trundle.